The Black Hills mountain range in the US, which stretches from South Dakota to Wyoming, is known for its lush forests, scenic waterfalls, and dense, intricate cave systems. But 150 million years ago, humongous, long-necked dinosaurs called sauropods roamed there – and scientists just identified one of their colossal, fossilised feet. The nearly complete foot fossil, made up of 13 bones, was unearthed in 1998 from a body of rock spanning multiple states called the Morrison Formation. That area has produced a wealth of dinosaur fossils from the Late Jurassic Period, or between 155 million to 148 million years ago. Scientists there have dug up diplodocuses, allosauruses, stegosauruses – the list goes on. The staggering amount of fossils there, compared to the available scientists to examine them, is why it took two decades to identify this massive foot. The foot seems to have belonged to some kind of brachiosaur that stretched 80 feet long, the researchers wrote in their paper published Tuesday in PeerJ. To figure that out, they used a 3D scanning technique to make computerised images of the foot bones, and compared them to other sauropod foot fossils. The same dig site where this foot was unearthed in northeastern Wyoming also contained a separate, smaller, nearly complete brachiosaur, and a handful of other long-necked dinosaurs like diplodocuses and camarasaurs. The research team was surprised to see a brachiosaur that far north, because the animals had been thought to occupy much smaller, more southern chunks of land. Brachiosaurs were colossal, long-necked, leaf-eating dinosaurs. Still, the huge brachiosaur foot is notable for more than just its surprising location. 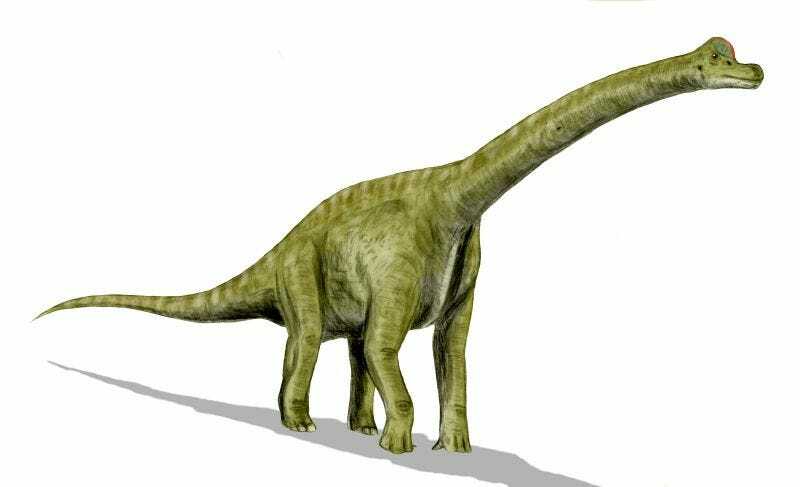 At just under a metre wide, the researchers said it the largest sauropod foot ever discovered. Philip Mannion, a palaeontologist at Imperial College London who wasn’t involved with this discovery, agreed with that assessment. Plus, as Mannion and the study authors point out, we’ve never found the feet of the world’s largest sauropods, the titanosaur and argentinosaurus, who would surely surpass this brachiosaur in foot size. We haven’t seen those dinosaurs’ feet yet because foot fossils are notoriously elusive, according to study author Anthony Maltese, a palaeontologist at the Rocky Mountain Dinosaur Resource Center in Colorado. Throughout history, they’ve had a much higher chance of being lost in waterways or eaten by scavengers because they’re so small compared to the rest of the animal. That makes the most recent discovery an especially exciting one.